Confabulating with the Cows: Wit, Whimsy, and Occasional Wisdom from Perry County, Indiana: 1992-94, by Brett Alan Sanders. 2017: Corydon, Indiana: Per Bastet Publications. These newspaper columns by a southern Indiana writer and teacher – modeled after their widely popular predecessors Joe Aaron, of the Evansville (Indiana) Courier, and Leon Hale, of the Houston Chronicle – began rather humbly as Rural News reports and grew quickly into the Talk of Perry County. They cover a range of human experience from the absurdist and whimsical to the more earnestly philosophical and socially aware. In between those extremes are heartfelt expressions of shared human joys, frustrations, and sorrows that both celebrate and transcend the merely local or regional. Whether or not, like the author, you have ever stood (or contemplated standing) in fields confabulating with the cows, you are bound to find many thoughts worth chewing on in these engaging essays. Confabulate: 1. To talk casually, chat. 2. Psychology. To fill in facts in one’s memory with fabrications that one believes to be facts. 3. Literary journalism. Artfully fibbing, mixing fact and fable, pulling the reader’s leg; carrying on and making music with the animal creation, whensoever and wheresoever thou pleaseth. Summary: Luis Alberto Ambroggio pays tribute to the great American poet in this bilingual collection. Sometimes he includes a line from the master in his own piece; other times an epigraph introduces the verses. Either way, Whitman’s influence is notable. Many of Ambroggio’s poems — like Whitman’s — deal with physical pleasure. Others consider nature and death. A native of Argentina, the poet views Whitman’s work through his Latin American lens, noting that Whitman’s “multitudes” include those who will not be defined, ignored, or declared undocumented. 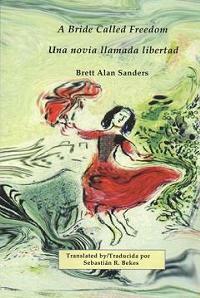 Originally published in Spanish, this edition includes the original text and a luminous English translation by Brett Alan Sanders. It owns an inimitable cadence, uncommon good sense, and a smoldering depth — for there is fire in Ambroggio’s blueness, an earthy eroticism in his lyric register. For me the essential quality of Luis Alberto Ambroggio’s poetry is immediacy: the vividness of images that feel unmediated, though we know they are, profoundly, the products of art. Here is a philosophical mind that insists always on the unfathomable primacy of encounter, the empirical. … It has given me great pleasure to see this fascinating book in complete form, with Brett’s brilliant translation and with notes by writers who describe Ambroggio’s poetry with such precision. Summary: Passionate Nomads is a most extraordinary addition to the literature of the New World. To bring Merlin the Magician and a daughter of Morgan Le Fay over to 20th-century Argentina might be merely whimsical, but then to revive the Indians of the pampas along with a 19th-century general who both wrote about them and helped massacre them takes fictional daring of a high order. As the reality of South America proved too much for realistic fiction to handle, Borges and García Márquez invented magic realism; and now, in a yet more radical invention, such writers as Liliana Bodoc and María Rosa Lojo evoke a profound fantasy of the real – not a rewriting of history, but an imaginative recall and understanding of what has been forgotten, cannot be remembered, and yet must be remembered. Summary: Dazzling, insightful, and direct, Awaiting the Green Morning takes the reader on a voyage to an unexpected world. Its four distinct sections offer reflections on mythical creatures, the delights of domesticity, the pain of exile, and the forgotten lands of the dispossessed. In María Rosa Lojo’s richly evocative prose poems, space and time are compressed, and the exotic and the familiar become one: vampires are as delicate as spider’s webs, and everyday objects become a source of wonder and surprise. lecturer and visiting professor at a number of universities in Argentina and around the world. She does literary research for CONICET, the National Council for Scientific and Technical Research, and acts as a juror on both national and international writing competitions. 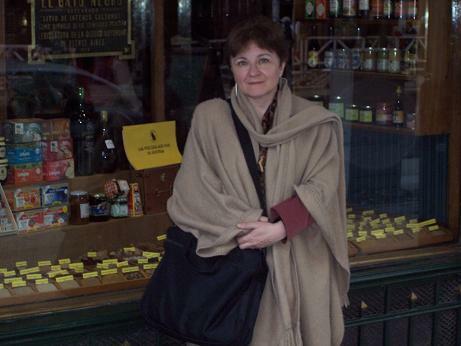 Her published work in Spanish includes the novels La pasión de los nómades (1994), Las libres del Sur (2004), and Finisterre (2005); and the collections of short stories Historias ocultas en la Recoleta (2000), Amores insólitos de nuestra historia (2001), and Cuerpos resplandecientes: santos populares argentinos (2007). Lojo’s poetic vision transforms everyday life into a magic universe of fantastic and enigmatic creatures. In her prose poems, familiar persons and objects become strange and unsettling figures, moving through an impossible landscaape of dreams. Awaiting the Green Morning is not, however, an escape from the harsh realities of injustice, violene and death, but a transfiguration of human suffering into a world of beauty and of hope. Each word here is chosen for stunning effect. I can’t do such words justice in a review. Awaiting the Green Morning must be savored, absorbed into the marrow, and celebrated. This is an exceptional book and highly recommended. One must ultimately thank Mr Sanders for introducing Ms Lojo to the English speaking world. It is said that any translation of poetry requires the translator to be a poet at heart, and with this collection one comes to appreciate Mr Sanders’ excellent understanding of not just the Spanish and English languages, but also of the universal language of the poet. The result is a unique contribution to the Americas’ understanding of the often complex relationships between their diverse peoples. Eva Gillies, PhD (Oxford), translator into English of Una excursión a los indios ranqueles. Con el lenguaje fresco, expresivo y llano de una mujer de pueblo (eficazmente vertido al castellano rural y coloquial de la época, por Sebastián Bekes) la Dorotea de Brett Alan Sanders representa las vidas reales de no pocas “cautivas” en las pampas argentinas del siglo XIX: las que se ligaban por los vínculos del amor a la cultura donde habían entrado por obra de la violencia. El relato de Sanders combina gratamente elementos de la novela de aventuras, la novela sentimental, el alegato y de la descripción antropológica, en una narración tan profunda como entretenida. Como Dorotea, es muy probable que sus lectores terminen voluntariamente “cautivos” de este mundo que evoca. 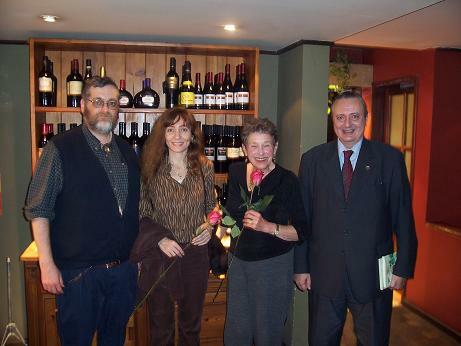 María Rosa Lojo , autora de Esperan la mañana verde (Awaiting the Green Morning, traducido por Brett Alan Sanders, Host Publications, 2007), La pasión de los nómades, y Amores insólitos de nuestra historia. A Bride Called Freedom could be set in any land that man has plundered with utter disregard for the lives of indigenous people. Dorotea’s legend should be read by teenagers and adults who might benefit from the simple truths it tells so eloquently. This book is exceptional and highly recommended to speakers of English and Spanish. 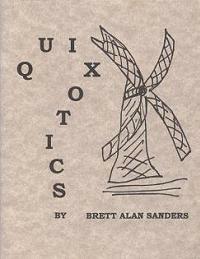 Quixotics (chapbook: prose poems; includes a convenient glossary of allusions), by Brett Alan Sanders, © 1990, 1997 Brett Alan Sanders, Leopold, Indiana: Kroessman Press, 28 pages, $3 paper / stapled (postage included). To order, contact Sanders. Confabulating with the Cows: Wit, Whimsy, and Occasional Wisdom from Perry County, Indiana: 1992-94. Essays (Newspaper columns). Print. Todos somos Whitman / We Are All Whitman (University of Houston: Arte Público Press, 2016). Poetry. Translated from the original Spanish of Luis Alberto Ambroggio. Print. Passionate Nomads (Minneapolis/Oaxaca: Aliform Publishing, June 2010). Novel. Translated from the original Spanish of María Rosa Lojo. Including textual notes. Print. A Bride Called Freedom / Una novia llamada libertad (Ediciones Nuevo Espacio, 2003). Novella. Spanish-language translation by Sebastián R. Bekes. Print-on-demand. Quixotics (Leopold, Indiana: Kroessman Press, 1990, 1997). Chapbook of prose poems on the Quixote. Copies available from author. Print. “Land of Promise” (long short story; abridged), by María Gabriela Mizraje, JewishFiction.net, #16, September 2015. Online. “False Ascent,” “Earth and Clouds,” “Pilgrims,” “The Keys of the Kingdom,” and “Heaven’s Aroma,” from Stories of Heaven (prose poetry/mini-fiction) by María Rosa Lojo, The Cincinnati Review, Volume 12, Number 1, Summer 2015. Print. “Sketches,” from Stories of Heaven (prose poetry/mini-fiction), by María Rosa Lojo, Cosumnes River Journal, Volume 9, Spring 2015. Print. “Pearls Before Swine” (short story), by Sebastián Bekes, Rosebud #56, Winter 2013/2014. Print. “Open Road” (short story), by Gabriela Mizraje, in The Antigonish Review, No. 174, Summer 2013. Print. “Windows,” “Those Whom No One Awaits,” “Where the Kingdom Is,” “Life and Death,” and “Lost Objects” (prose poetry), from Stories of Heaven, by María Rosa Lojo, in Rosebud #54, 2013. Print. “Wheel” (short story), by Denise Phé-Funchal, in otra suelta: contemporary latin american literature in translation, vol. 2, December 15, 2012. Online. “Tough” (short story), by Esteban Mayorga; “You Like This Garden? Keep Your Children from Destroying It!” (short story), by Juan Sebastián Cárdenas, in otra suelta: contemporary latin american literature in translation, June 15, 2012. Online. “Minimal Autobiography of an ‘Exiled Daughter’” (essay), by María Rosa Lojo, in anthology Inhabiting Memory: Essays on Memory and Human Rights in the Americas, edited by Marjorie Agosín (San Antonio, TX: Wings Press, 2011). Print. “The Gentleman and the Willow” (novel excerpt), from Passionate Nomads, by María Rosa Lojo, Cambridge, WI: Rosebud #51, 2011. Print. “Another Story of the Warrior and the Captive” (short story), by María Rosa Lojo, in Tertulia Magazine, March 2009. Online. “From the Garden / Desde el jardín,” “Transparency / Transparencia,” “Weavings / Tejidos,” “The Structure of Houses / Estructura de las casas,” “Qualities of Winter / Calidades de invierno,” “Those Who Have Stopped Walking About / Los que dejaron de andar,” “Palace Museums / Museos de palacio,” “Banquet of Dandified Death / Banquete de la muerte catrina,” “Vanishing of the Men at Teotihuacán / Desaparición de los hombres en Teotihuacán,” “The Disappearing Woman / La desapareciente” (prose poetry), from Awaiting the Green Morning, by María Rosa Lojo (featured poet), in New Works Review, Vol. 10, No. 3, Summer 2008. Online. “The Unequaled Ones. Their Unlikely Definition,” “The Levitation of Unequaled Ones,” and “The Reproduction of Unequaled Ones” (microfiction), from The Book of the Unequaled Ones and of the Only Male Unequaled One, by María Rosa Lojo, with photographs by Leonor Beuter, in The Dirty Goat 19, Fall 2008. Print. “The Angels of Mishkenot Shaananim” (poetry), by María Rosa Lojo, in Tertulia Magazine, January 2008. Online. “Journey / Viaje,” “The Great Waters / Las aguas grandes,” “Nomads / Nómades,” “Raid / Malón,” “Humahuaca / Humahuaca,” “Sempre en Galiza / Sempre en Galiza,” “Fisterra, B.C. / Fisterra, a. C.,” and “Vanishing of the Men at Teotihuacán / Desaparición de los hombres en Teotihuacán” (prose poetry), from Awaiting the Green Morning, María Rosa Lojo, in The Dirty Goat 17, Fall 2007. Print. “Don Quixote on the Ecology” (novel excerpt), by Juan Montalvo (Ecuadorian writer, published posthumously in Spanish in 1898), in The Quill & Ink, Vol. 2, No. 11, November 2006. Online. “A Man, A Typewriter” (short story), by Sebastián R. Bekes, in Tertulia Magazine, September 2006. Online. “Like a Blue-Eyed Horse” (short story), by María Rosa Lojo, in New Works Review, Vol. 8, No. 3, July-September 2006. Online. “Office of the School Secretary at the Chapel of ‘Mater Admirabilis’ / Secretaria de la Escuela en la Capilla de ‘Mater Admirabilis’” and “Awaiting the Green Morning / Esperan la mañana verde” (prose poetry), from Awaiting the Green Morning, by María Rosa Lojo, in The Quill & Ink, Vol. 2, No. 9, May 2006. Online. “A Tenuous Vapor of Jasmine” (novel excerpt), from Passionate Nomads, by María Rosa Lojo, in The Antigonish Review, No. 145, Spring 2006. Print. “My Lord Santiago” and “Cruceiro” (prose poetry), from Awaiting the Green Morning, by María Rosa Lojo, in PRISM International, Vol. 44, No. 3, Spring 2006. Print. “Semejanzas / Resemblances,” “Fragilidad de los vampiros / Fragility of Vampires,” and “Transparencia / Transparency” (prose poetry), from Awaiting the Green Morning, by María Rosa Lojo, in Contemporary Verse 2, Vol. 28, No. 2, Fall 2005. Print. “The Disappearing Woman” (prose poetry), from Awaiting the Green Morning, by María Rosa Lojo, in Hunger Mountain, Fall 2005. Print. “Steadfast Love” (prose poetry), from Awaiting the Green Morning, by María Rosa Lojo, in Rhino 2005. Print. “Certain Inheritances / Ciertas herencias,” “The Puppet / El títere,” “Your Inept Mouth / Tu boca inadecuada,” “Little Fire / Fueguito,” “Dragons / Dragones,” “God’s Eyes / Ojos de Dios,” “Make-Up / Maquillaje,” “Five O’Clock Tea / Té de las cinco,” “Sorrow / La pena,” “Risks / Riesgos,” “Weavings / Tejidos,” “Utter Silence / Riguroso silencio,” “The Noticeboard / El cartel,” “Lines / Líneas,” “Knocking at the Doors of Heaven / Golpeando a las puertas del cielo,” “The Structure of Houses / Estructura de las casas,” “Qualities of Winter / Cualidades del invierno,” “Apertures / Aperturas,” “What There Was / Lo que había,” “Those Who Have Stopped Walking About / Los que dejaron de andar,” “Palace Museums / Museos de palacio,” “Statues / Estatuas,” “Curious Destiny / Curioso destino,” “Banquet of Dandified Death / Banquete de la muerte catrina,” and “Santa María Tenontzintla / Santa María Tenontzintla” (prose poetry), from Awaiting the Green Morning, by María Rosa Lojo,, in Mudlark: An Electronic Journal of Poetry & Poetics, No. 27, 2005. Online. “Three Views” (essay), by Alejandro Bekes, in New Works Review, Vol. 7, No. 3, July-September 2005. Online. “Holes” (short story), by Sebastián R. Bekes, in New Works Review, Vol. 7, No. 2, April-June 2005. Online. “A Buenos Aires Christmas” (novel excerpt), from Passionate Nomads, by María Rosa Lojo, in New Works Review, Vol. 7, No. 1, January-March 2005. Online. “Risks,” “Sorrow,” “Weavings,” and “Utter Silence” (prose poetry), from Awaiting the Green Morning, by María Rosa Lojo, in Perihelion (www.webdelsol.com/Perihelion), Vol. 3, No. 9, 2004. Online. “Five O’Clock Tea” (prose poetry), from Awaiting the Green Morning, by María Rosa Lojo, in Event, Vol. 33, No. 1, Fall / Winter 2004. Print. “Certain Inheritances / Ciertas herencias” (prose poetry), from Awaiting the Green Morning, by María Rosa Lojo, in Stand magazine, Vol. 5, No. 3, 2004. Print. “Lo que había / What There Was” and “Los que dejaron de andar / Those Who Have Stopped Walking About” (prose poetry), from Awaiting the Green Morning, by María Rosa Lojo, in The Antigonish Review 136, Winter 2004. Print. “The Noticeboard,” “Lines,” “Knocking at the Doors of Heaven,” “Qualities of Winter,” “The Structure of Houses,” and “Apertures” (prose poetry), from Awaiting the Green Morning, by María Rosa Lojo, in Artful Dodge, No. 44 / 45, 2004. Print. “El Títere / The Puppet” and “Fueguito / Little Fire” (prose poetry), from Awaiting the Green Morning, by María Rosa Lojo, in The Saint Ann’s Review, Vol. 4, No. 2, Summer / Fall 2003. Print. “Your Inept Mouth,” “Dragons,” “God’s Eyes,” and “Make-Up” (prose poetry), from Awaiting the Green Morning, by María Rosa Lojo, in Chelsea 74, 2003. Print. 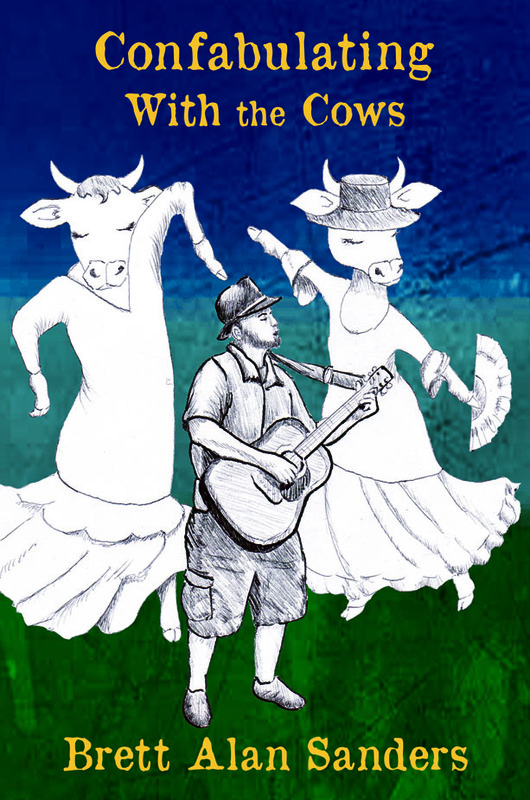 “Ifigenia y sus hijas en los tiempos de Kavanaugh,” in Revista Letra Urbana, #40, November 2018. “Small Graces” (with translation into the common language of Bosnia, Croatia, Montenegro, and Serbia), in Hourglass, Issue #1, January 2017. “Sobre la reconciliación de contrarios,” in Revista Letra Urbana, #33, August 2016. Online. “Attractions of Barbarity, or Dreaming a Complete Argentina,” honorable mention in X. J. Kennedy Award for Non-Fiction, in Rosebud #60, Fall/Winter 2015. Print. “On the Creative Art of Literary Translation,” in Confluence: The Journal of Graduate Liberal Studies, Fall 2010. Print. “A New Existentialist Dialogue of Rhetoric,” in Tertulia Magazine, June 2010. Online. “On Works, Children, and Free Will,” in Tertulia Magazine, November 2008. Online. “Education of a Literary Rhetor,” in The Quill & Ink, Vol. 3 No. 4, August 2007. Online. “Riding the Subway and Reading Rushdie in Buenos Aires,” in New Works Review, Vol. 9, No. 3, July-September 2007. Online. 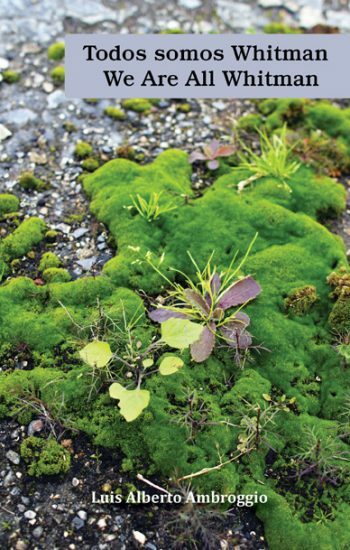 “Ecological Ruin and Promise on the Shores of the Río de la Plata” (photo essay), Part 1 in Passport Journal, Vol. 15, Spring 2007; Part 2 in Vol. 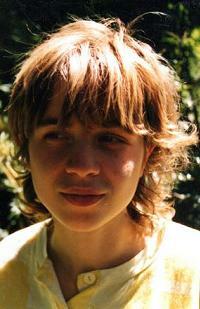 16, Summer 2007. Online. “‘He Was Solitary, Rebellious, and Hard to be Governed,’” review of Garry Wills’s What Jesus Meant, in Sunstone magazine, No. 145, March 2007. Print. “Dancing With Coyote,” in Tertulia Magazine, December 2006. Online. “Saint-Exupèry’s Little Princesses” (photo essay), in Passport Journal, Volume 12, Summer 2006. Online. “An Exiled Daughter and Her Bound Bull,” in New Works Review, Vol. 8, No. 3, July-September 2006. Online. “On the Radical Art of Teaching Writing” and “Cities of Whose Dreams?” in New Works Review, Vol. 8, No. 2, April-June 2006. Online. “Corporeality and Incorporeality in the Poetic Prose of María Rosa Lojo,” in The Antigonish Review, No. 145, Spring 2006. Print. “The Golden Boy of Rosario,” in Sunstone magazine, No. 141, April 2006. Second-place winner of the 2006 Eugene England Memorial Personal Essay Contest. Print. “Dear Mansilla,” in The Quill & Ink, Vol. 2, No. 8, January 2006. Online. “On the Critical Art of Recreative Reading: Reflections on Why Americans Don’t Read,” in New Works Review, Vol. 7, No. 3, July-September 2005. Co-winner of the 2005 Louis Schewe Essay Award at the University of Southern Indiana. Online. “So Sweetly Violent” (Reflections on Beowulf and the Quixote), in River Walk Journal, Vol. 2, No. 1, May / June 2005. Online. “Margarita’s Mind,” in New Works Review, Vol. 7, No. 1, January-March 2005. Online. Review of The Eternal Quest, by Julian Branston, in The King’s English, 2005. Online. Review of Monsignor Quixote, by Graham Greene, in The King’s English, 2004. Online. “On the Pragmatics of Liberalism,” in The Pedestal Magazine, Political Issue, October 2004. Online. “A Million Tiny Protests: Reflections on Reagan and Bush,” in New Works Review, Vol. 6, No. 4, October-December 2004. Online. “In Search of Dorotea Bazán: or, On Breaking Out of Literary Isolation,” in New Works Review, Vol. 6, No. 3, July-September 2004. Online. Reprinted in River Walk Journal, Vol. 1 No. 4, Nov. / Dec. 2004. Online. “Joseph and His Good Brothers,” in New Works Review, Vol. 6, No. 2, April-June 2004. Online. “A Peronist Wind: Alpha and Omega in an Argentine Landscape,” in Chiricú (Indiana University, Chicano-Riqueño Studies), Vol. 6, No. 1, 1990. Print. 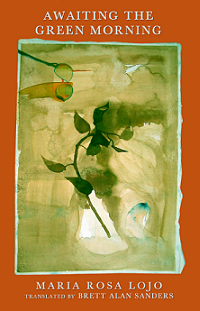 “Like Water from Cactus,” Potomac: A Journal of Poetry and Politics, Spring 2011. Online. “Mother and Child” and “Plastic Rosary in Pink,” in New Works Review, Vol. 9, No. 4, October-December 2007. Online. “Jonah’s Fish Tale,” in New Works Review, Vol. 9, No. 1, January-March 2007. Online. “Tribunal,” in The Quill & Ink, Vol. 2, No. 10, July 2006. Nominated by editor Anirban Ray Choudhury for the Preditors & Editors prize for best fiction in a web zine. Online. Reprinted in Fabula Press’s Aestas 2014 anthology. Print. “Little White Sambo,” in River Walk Journal, Vol. 2, No. 6, March / April 2006. Online. “American Christus” and “Comforts of Marija Across Worlds,” in New Works Review, Vol. 8, No. 1, January-March 2006. Online. “Mist Over Mount Fuji,” in Tertulia Magazine, October 2005. Online. “Mr. Sethi Raps,” in New Works Review, Vol. 6, No. 4, October-December 2004. Online. “Pirates,” in New Works Review, Vol. 6, No. 3, July-September 2004. Online. “History of the Knight and the Sophist,” in The Journal of Graduate Liberal Studies, Vol. 8, No. 2, Spring 2003. Print. Reprinted in Tertulia Magazine, July 2005. Online. “Last Loves,” in Spectacle, Vol. 4, No. 2, Winter 2002. Print. Reprint in Tertulia Magazine, under the title “There’ll Never Be Another Like Perón,” June 2007. Online. “Waters of Mormon,” in Dialogue: A Journal of Mormon Thought, Vol. 30, No. 4, Winter 1997. Print. Reprinted in Exponent II, Vol. 25, No. 2, Winter 2002. Print. “Satyagraha,” in Labyrinth (Indiana University, Bloomington), Spring 1986. Print. Monthly article for newsletter Progressive Indiana, December 2016-Present. Arte Retórica (column), in “Tertullian’s Blog,” Tertulia Magazine, 2006-2008. Online. “An Interview With María Rosa Lojo,” July 2004, in Contemporary Verse 2, Vol. 28, No. 2, Fall 2005. Reprinted in New Works Review, Vol. 10, No. 3, Summer 2008. Print. “John Dewey, in the Wake of the 2004 Election, Speaks to George W. Bush” (poetry), based on Dewey’s Education and Democracy, in Insights (a publication of the John Dewey Society), Vol. 37, No. 3, March 2005. Print. “In Defense of the Dixie Chicks” (commentary), in the Evansville Courier & Press, Evansville, Indiana, July 21, 2003. Print. Reprinted shortly thereafter at Gods of Music. Online. “Columnist questions the bombing of Japan” (commentary), in the Perry County News, Tell City, Indiana, August 14, 1995. Print. “Talk of the County” (column), in the Perry County News, Tell City, Indiana, 1992-94. Print.